HCC Win the Devon County Cup! 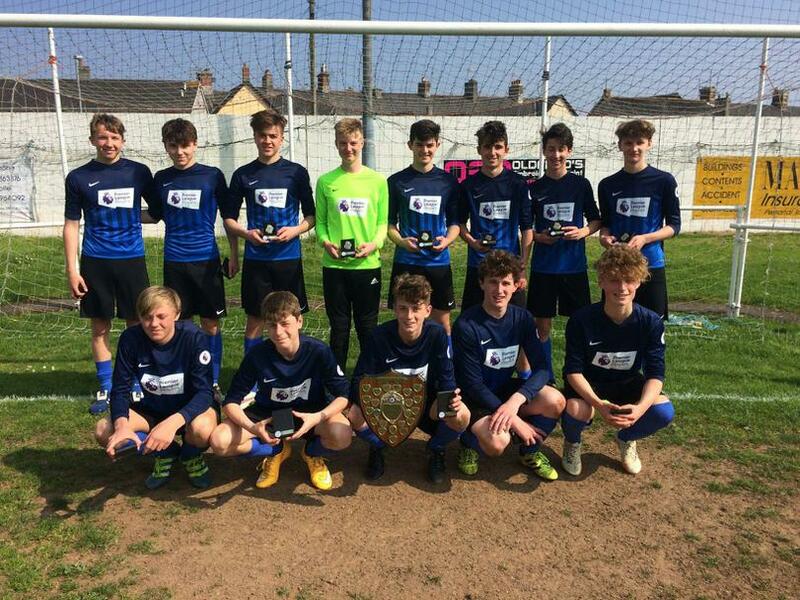 Thursday 4th of May saw the highly anticipated Devon County Cup final match between Holsworthy and Torquay Boys’ Grammar School. After some tunes on the bus the boys were hyped to go out and fight our way to a win. The match kicked off and the tension was high, with Holsworthy putting high pressure on Torquay and creating many chances. The boys were keeping it tight in the middle and winning everything, allowing the players around them to be creative. Callout to Ollie who had to come off after an injury, which saw him end up in A&E after a very hard, but fair challenge. Kieran was outstanding, keeping their dangerous left midfield on a leash, whilst being consistently fouled. At half time the score was 0-0 with very little between the two sides. The second half was much of the same, with Holsworthy dominating the ball without breaking the deadlock. Eventually after missing a few chances Max McDonald whipped in a delicious cross, which was matched by a strong header from Ben Furber, that was rather challenging for the keeper and he fumbled the ball into the net. What a goal! 1-0 to Holsworthy! As soon as the match reset, Holsworthy screwed their heads on for defending. Time was whizzing by as the opposition were on the attack. Due to great defending and high pressure they were able to keep the ball out of the net. The final score was 1-0 and Holsworthy went home champions, for the first time in Holsworthy’s history! What a game and thanks to our very loyal families who travelled to watch the match and have supported us throughout all competitions and matches we have played. We went home with our heads high and smiles on our faces, topped off by a celebratory meal in McDonald's! Thank you to those who have supported us throughout our careers at Holsworthy Community College. And last, but not least, thank you to Mr Watkins and Mr Vanstone who have organised and made this significant win possible—thank you from all the lads!